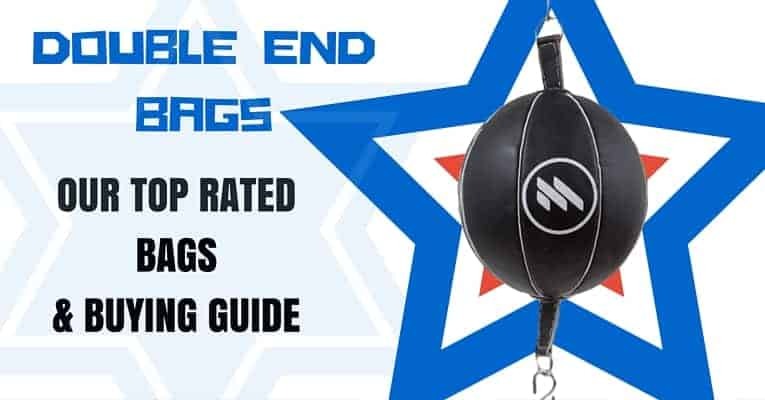 Double end bags provide a good balance of functionality, allowing for a fighter to work both his or her punches, co-ordination, reflexes and dodge ability. Being heavier than a speed back, as well as larger, double end bags and their Mexican styled variations accurately simulate the shape and form of a body. This helps a lot when practising your punch placement and accuracy. A well rounded athlete can benefit in many aspects of endurance and form through the intelligent use of double bag in training. When considering the beating that your bag will surely take, it is best to ensure that you don’t waste your time or money on cheap and flimsy, ineffective variations of this invaluable training tool. The standard double end bag takes the shape of a single ball and is better for speed-based training, whilst the Mexican styled, figure-eight shaped bag more accurately models an opponent, and is thus better for perfecting the placement of your punches. Double end bags, of good quality, are an asset to any fighter. Take a look at our recommendation of the best double end bags available. MaxxMMA Double End Striking Punching Bag Kit - FREE SHIPPING! Even though the Everlast Double End Striking Bag has received mixed reviews, at its low cost of around $20 it still makes good value for money and a great choice of anyone on a tight budget. The synthetic leather exterior is surprisingly durable and the stitching is well done. Shock cord and nylon ropes are provided to secure the bag, working very well as a result of their high quality composition. Handy brackets are also supplied, saving you from having to fork out more money to ensure sturdy fitment of your bag. This is a well-balanced double end bag that hangs a comfortable height and has a good feel to it. In terms of size, Everlast’s Double End Striking bag has a smaller appearance than most, which is an asset to the athlete in-training, helping you to control your dodging and weaving better due to the movement of the bag. Everlast continues their tradition of top class, affordable mixed martial arts equipment, with their Double End Striking Bag being one of the best middle of the range options available. This offering from Title comes in at a higher price than their middle of the range “Classic Advanced” double end bag, but it is a product that is better suited to the advanced mixed martial artist. The Title Platinum Double End Bag is rugged enough to be used by any athlete, even those at a heavyweight level who participate in arduous training sessions. Platinum quality leather has been crafted into a multi-panel double end bag that can take the hardest of hits, without placing unnecessary strain on your wrists. The 8-inch bladder is permanent and set to last you for any sessions of reliable service. The quality of construction is outstanding, this is a double end bag that will not leak, rip or tear easily. The cords supplied are secure, although many opt for additional additional double end bag cables. The high quality durability that is provided by the Title Platinum Double End Bag is great value, giving you functionality that far outweighs the low cost. MaxxMMA supplies you a complete double end bag training kit that is both durable and easy on the eyes. Not only do you get an easy-to-setup 8″ double bag, but a pump and gloves are also supplied! The kit includes a door-frame mounting bracket allowing for hassle free installation of this double end bag anywhere. The height of the bag is just as simple to adjust. Crafted from leather, durability is not lacking in any regard. This double bag is spring suspended and gives you great rebound and bag movement. Whether you are training your reflexes, counterpunching or dodging in any way, this bag delivers everything that you need to ensure a high speed training routine. The MaxxMMA Double End Striking Punch Bag Kit gives everything that a beginner could need in one affordable package whilst being of such a good quality that it is suited to even more advanced martial artists. If you want to save yourself time and effort then this kit has it all. Great stress relief for the home or office. Heavy duty spring bounces back for more punishment. 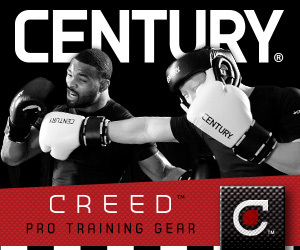 Ideal for all punching action, slipping, counter punching and reflex! Amber Sports Double, Double End Bag is a Mexican style bag that features great reinforcement, high levels of bag movement and durability that is up there with the best of them! The bag is made from leather and uses a lace-up structure to enclose the high-quality bladder. Even though the bladder will give you reliable service, it is conveniently replaceable, should something go awry. This double, double bag has great punching response, making for a great moving target to hone your reflexes on. Stitching is infallible, durable enough to last many training sessions. Double end bags are great for improving your coordination and this bag works exceptionally well for the task. The bungee cords are flexible enough to give the bag adequate mobility, whilst sturdy enough to keep it in its spot. The Amber Sports Double Double End Bag makes a reliable choice for any fighter that is looking for versatility in their training regimen and should be considering by seasoned fighters and beginners alike. This is a fantastic Mexican style double end bag that works wonderfully for footwork, distance and timing training. Getting yourself in prime condition for perfectly executed head and body shots is made a snap through the fantastic design of the Title Mexican Style 2-N-1 Double End Bag. A reinforced nylon rope, a rubber bungee cable as well as floor and ceiling mountings are supplied, offering ample ease of securing the bag. Some athletes have be known to prefer additional security, as the durability and design of this bag allows you to carry out a high performance workout, placing strain on the basic fixtures provided with the bag. Quality has not been overlooked in any way, with Title’s Mexican style double bag excelling across the board. From stitching to bladder durability and quality, the Title Mexican Style 2-N-1 Double End bag performs beyond expectations. Perfect for working on head and body punches! The Ringside Invicto Double End Bag makes use of a tradition al Mexican design structure, resembling the form of a teardrop. Crafted from genuine cowhide leather, this bag screams quality from all angles. The quality and care that was put into the manufacturing and design of this double bag is apparent even from a glance. High quality, dense rubber cabling is provided to secure the bag in place. The cable loops are also reinforced, ensuring a safe and secure fitment of this bag to your chosen area. Coming in at a higher price than most double end bags it must be said that the extra cost is a worthy investment, as this is one of the best double end bags in production. It will not break or tear, nor will it become worn and shoddy anytime soon. It is clear that extreme care has been taken to put together a double end bag that will cover the needs of any MMA fighter, no matter how hard he or she works. The Ringside Invicto Double End Bag, in black and copper, is a pinnacle of quality amongst the many double end bags that are available to today’s fighters. As is the case with most products, when buying a double end bag one should not necessarily buy cheap! Affordable and cheap are two completely different things, with affordable double end bags being available that offer fantastic value for money. There are many bags that won’t break the bank, that won’t break easily either! Genuine leather is the preferred choice of material, although one should not completely overlook synthetic leather. Reinforced synthetic leather is used by many manufacturers to lower the cost of their products, whilst taking care to provide additional protection through the inner layers protecting the synthetic exterior. Exterior durability is not the only factor that needs to be kept in mind when shopping for a new bag. Stitching, size, weight, flexibility and the quality of the methods of securing the bag should all be weighed prior to making a worry-free purchase. This double end bag buying guide is aimed to help you understand the benefits of this great form of training bag, helping you to choose the best bag for your practice sessions. Double end bags are a great addition to the training routine of any mixed martial artist, holding many training benefits unique to this form of bag. The form that is developed through exercise using this great bag results in a well-rounded athlete with enough arm-strength to keep up his or her guard through many rounds of heated combat. Here are some of benefits of this fantastic training assist. It’s Fun – Not completely relevant, but it really is fun! Double end bags help hone the talents of an athlete in more than just offense, making them a great tool for mixed martial arts. The first time you strike using your full punching power, without taking care to guard or evade the bag, you will see for yourself the effectiveness of a double bag as a defensive training tool. This bag hits back, and hard! The nature of the bag’s movement will help you keep your guard up, increase your counterpunching ability as well as assisting your mobility training, forcing you to move around whilst punching. The majority of double end bags carry quite a bit of weight, weight that will end up striking your face if you don’t keep your guard up and keep moving. The pace and variation of your training with a double end bag, in combination with the satisfaction of improving your timing, results in a workout that as fun as it is essential. Many fighters have found themselves enthralled in their training, ending up with many hours being spent than planned, with the double end bag. You have been warned, it is addictive! For the area where you’re going to hang your boxing bags – you want enough space ideally to hang both a heavy bag and a double end bag so you don’t have to interchange them when you want to use them. Each requires enough distance around them to ideally allow you to circle each bag 360 degrees. © 2018 CageJunkies. All rights reserved.